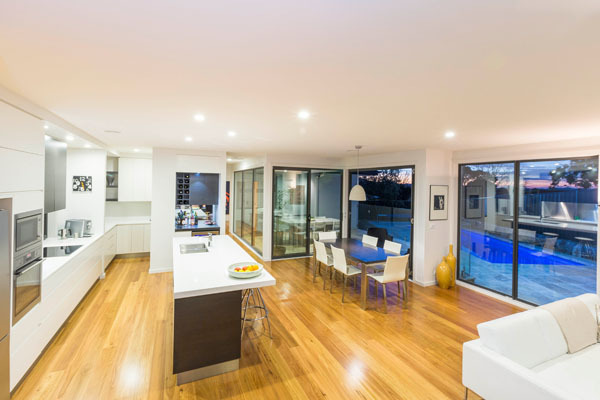 This beautiful new home is the dream of our young savvy clients. 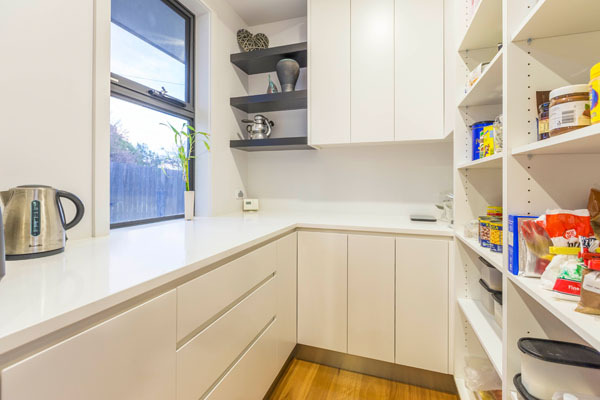 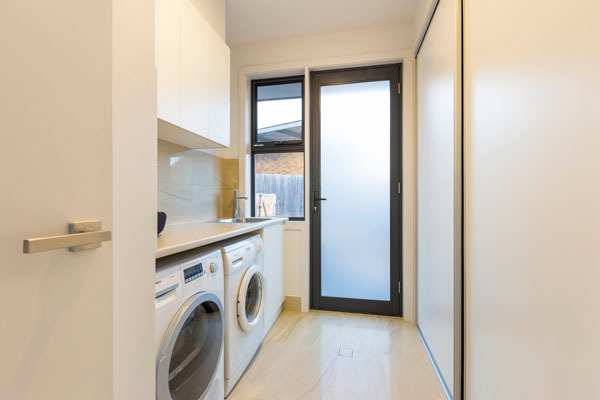 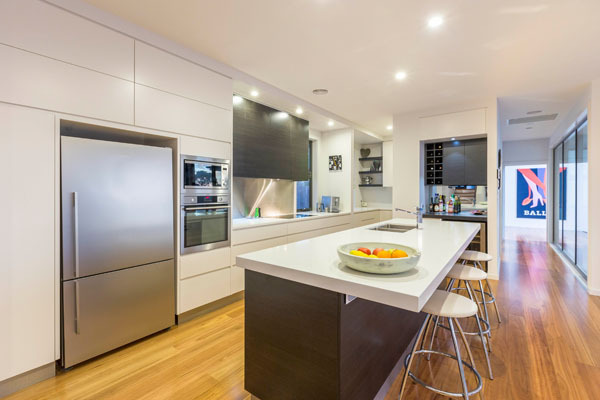 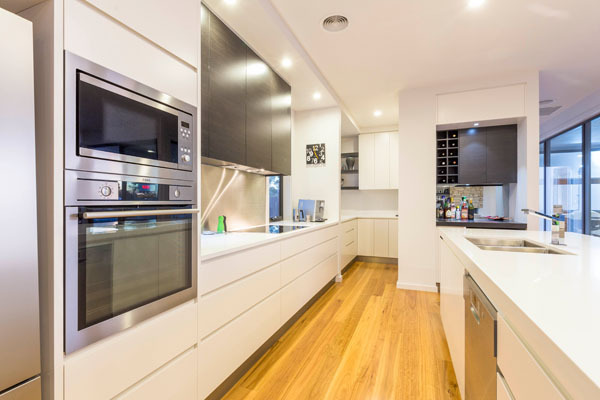 Clean lines and no handles, combine with the butler’s pantry to give a minimalist approach in the kitchen. 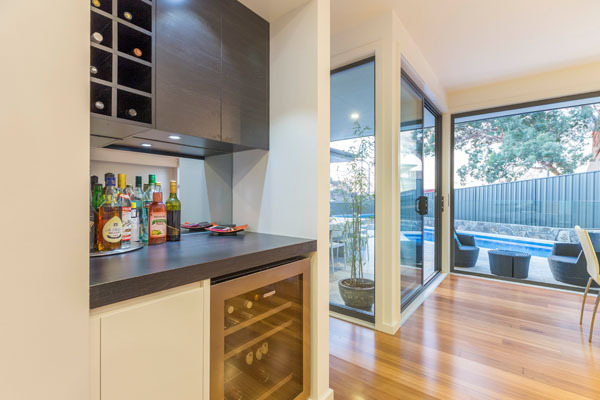 The kitchen also has a dedicated bar area with wine fridge. 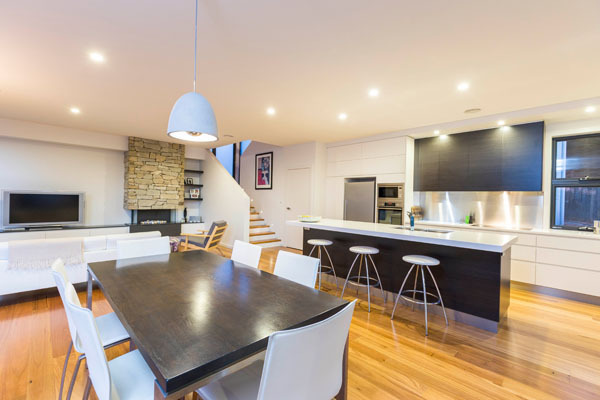 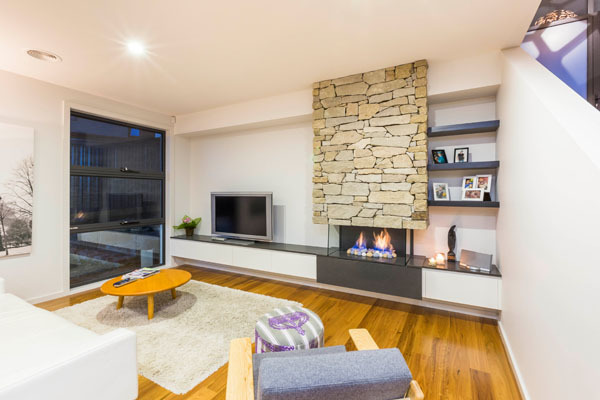 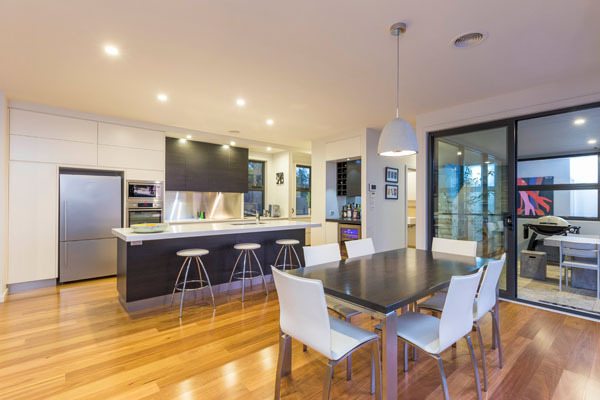 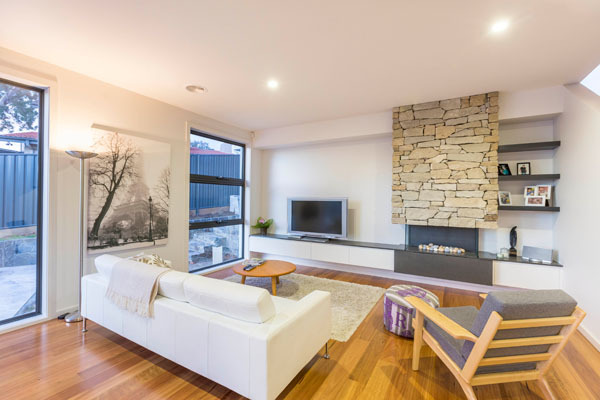 Custom made fire place joinery really sets off this open plan living space.